Dave graduated in May, 2012 with a BS in Civil Engineering and has since been working with EMH&T (Evans, Mechwart, Hambleton & Tilton, Inc.). “My great grandfather worked as a conductor and I have always enjoyed travel by train. One of the highlights of my youth is traveling via Amtrak from Chicago to San Francisco, so I have always had somewhat of a sleeping interest in the industry. 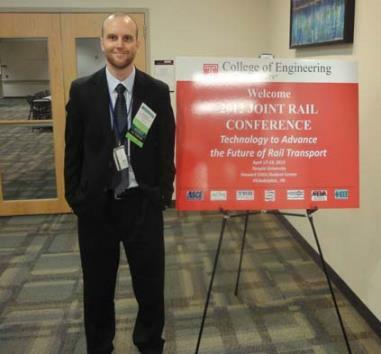 The unique program at Michigan Tech helped renew that interest, and with the exposure and education I received it became apparent that the rail industry was for me.